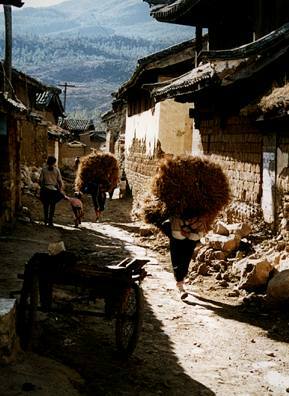 Women carrying huge loads of pine needles near Lijiang, China. 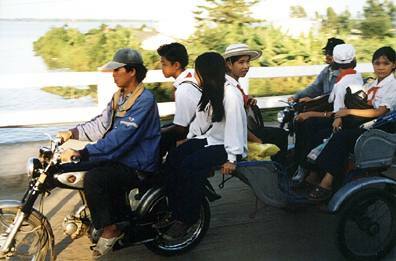 School children getting a ride home on a motorcycle chariot in the Mekong Delta region of Vietnam. 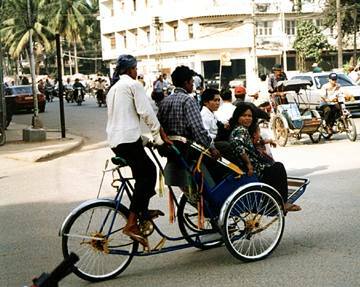 Bicycle rickshaw in Phnom Penh, Cambodia. 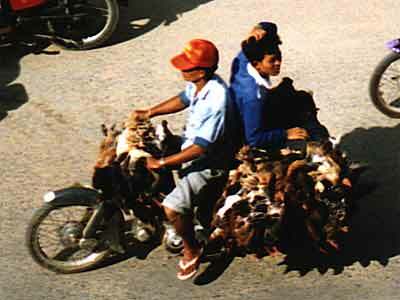 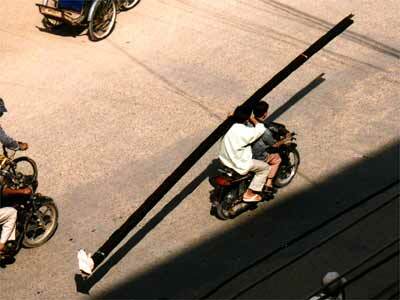 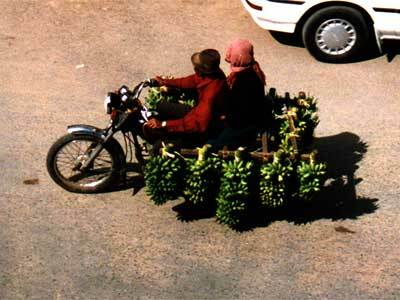 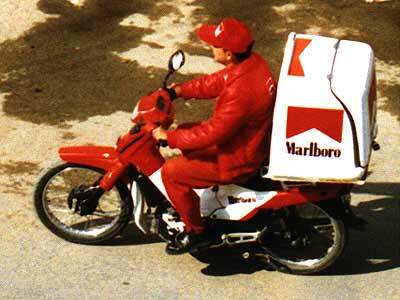 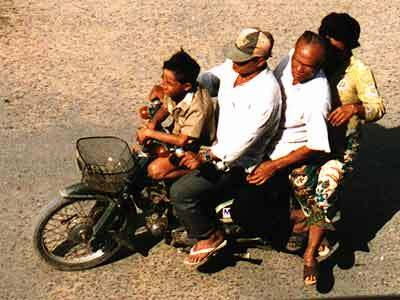 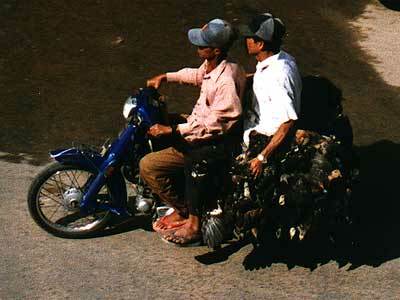 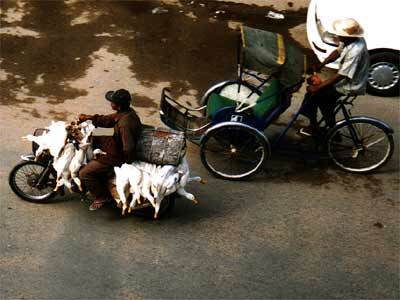 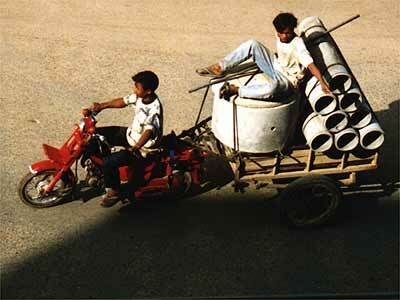 What can be carried on a Moto in Phnom Penh? 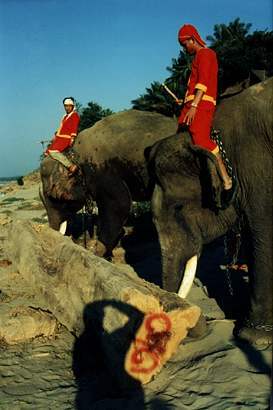 Elephants moving logs into the Mekong River at Luang Prabang, Laos.